One of the first things my three year old (almost 4) said when we started sponsoring a child her age through Compassion this weekend was, “Okay, now when are we going to visit her?” That made my heart happy and I pray one day we can make that dream a reality. For now, I pray that we can nurture that desire in ways close to home. So wise, friend. I need to be that now for my little ones – fully present. It’s hard when I have a hard time feeling fully awake. 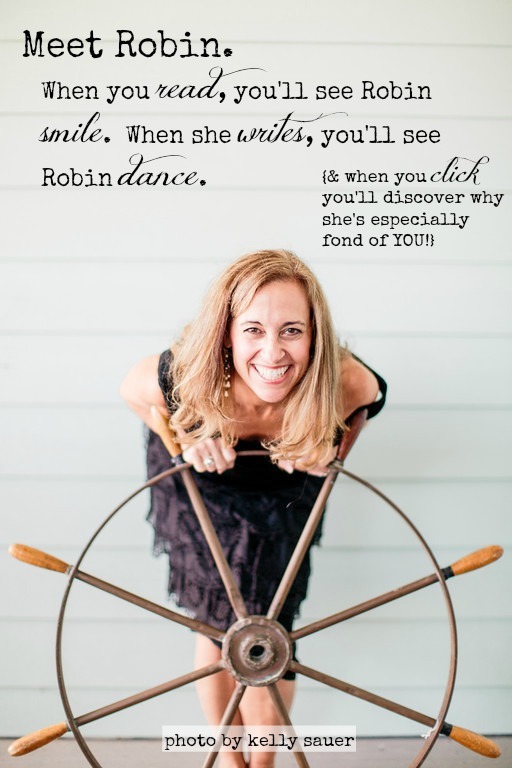 Robin, your writing and your heart are so beautiful! I’m so thankful I’ve gotten to know you in the past year. Maybe that’s why I was at She Speaks last year — to meet you! I’m really going to miss you being there this year — another year when I’m afraid of fitting in and why God has me there! I hope that I can be fully there for my daughter. I’ve seen changes in her lately, and my heart hurts — wondering how much I’ve messed up until now. But nothing I can do about the past. I’m going to do my best to be open to those moments and listen. Love ya girl!